So many people dream of coming to Thailand to start a business, work for a company and legally remain long-term in the country they love. Conflicting information also abounds about how to get a business visa in Thailand. 1 – Letter of Offer: This is a letter offering a work prospect from a company based in Thailand. if you have this, you’ll be able to skip most of the following steps and leave it in the hands of your new company. The prospective company should take care of all the paperwork – which can be plenty. They will ask you for: a copy of your diploma, college transcripts and letters of recommendation from all former employers in last 5 years. You might want to think about preparing these things and bringing them with you. It can take time for employers to return recommendation letters and many people don’t travel with their diploma or transcripts. 2 – Plan a Trip Out of Thailand: If you are abroad or still in your home country, this step is no problem. 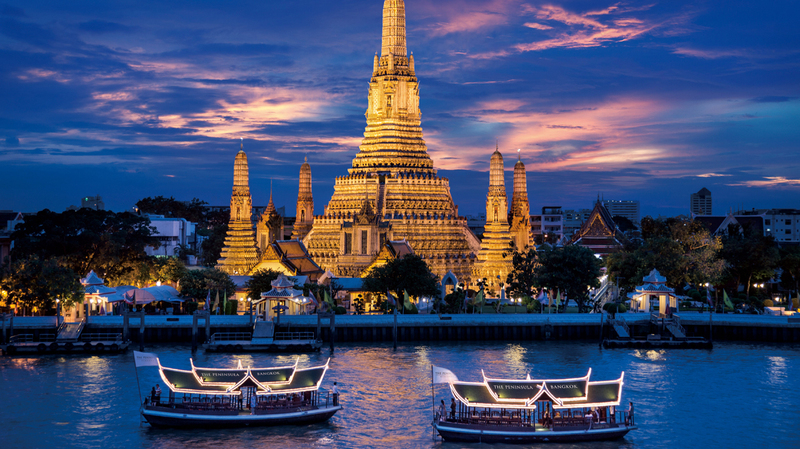 If you are already in Thailand and have less than 21 days left on your current visa, you’ll need to go abroad to change the visa from a tourist visa to a business visa. If you have more than 21 days left on your current visa, you can choose to visit a Thai immigration office and have them change your visa there. The reason for this is that they need a three-week window for processing the visa change. 3 – Travel Destinations for Business Visas: The best places to go to get your Business Visa are: Laos, Malaysia or Cambodia. All are budget-friendly and offer tourist attractions that you can enjoy alongside your visa procurement. Singapore is also a popular choice though, be warned, they are the biggest sticklers for paperwork. If budget is not a concern, a few days’ in Hong Kong can also be perfect. 4 – Request a Multi-Entry Visa: A multi-entry visa allows you to leave the country and re-enter during your visa stay. This is necessary if you need to travel internationally for business, visit your family or take a holiday outside of Thailand. If you are not offered (or are denied) a multi-entry visa at the foreign immigration office, you can also request one and pay for it at airport immigration. 5 – Visa Renewal Paperwork: Unfortunately, business visa paperwork doesn’t get easier upon renewal. It’s always complicated and involves a maximum of paper-pushing. A few months before it’s time to renew your visa, we suggest starting to collect the paperwork you need and requesting any forms or documents necessary. The completed paperwork also needs to be submitted well before the due date since the visa office needs time to process your application. Have further visa questions? Silk Legal offers extensive visa services to suit your unique situation and needs. Call or email to reach one of our trained visa legal professionals today!